Well done, DJP. An excellent reminder for the start of this Reformation Day. May God be pleased to raise up more Luther's in our time! Would you (dear reader) take theological advice from a person who endorsed or published pictures like the notorious image Luther endorsed of the Pope coming out the the business end of Satan? 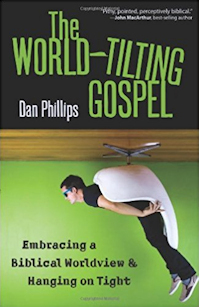 It seems to me that we, the watch-bloggers of Christendom, can say what Dan says in this post ("God bless Luther, warts and all"), but our practice is a little more, um, tightly wound than that. I can provide a real-life example if anyone is interested in thinking about that further on more than a theoretical level. 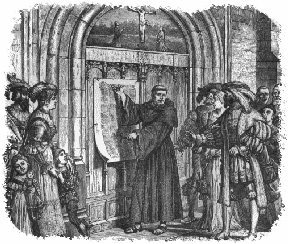 There is no doubt that Luther was a flashpoint of the Reformation -- and the 95 theses are, frankly, the key summary of grief against the Romanist system. But after that, and frankly prior to that, many men and women were just as deeply committed to these principles and more. It's a historical mistake, I think, to make Luther the singular martyr and superhero of the Reformation. However, that brief opinion is provided for the sake of opening up this discussion. You may have a theological or historical essay you were dying to post on these subjects, so this is your chance. I'm still trying to come to grips with the fact that my God-given role in Frank's life, apparently, is to make him think thoughts with only the most slender, gossamer, tangential relation to anything I am ever trying to talk about. "What a point of contrast Luther serves to the namby-pamby lightweights of our day." Good point...and it makes one wonder how Luther would be received by the church in this day and age. Also, the quote from Luther on how we should be taking advantage of the toil and work of others was convicting. Great post. Thanks for the good reminder. I'm going enjoying so much looking around the blog-o-sphere at all the posts on the Reformation. Let's Remember the Reformation and continue to Reform the church and ourselves. Like you said that's the beauty of the Reformation. I'm not bound by tradition or the mistakes of those before me, but to Sola Scriptura and Soli Deo Gloria. Thus we can continue to strive and work hard to growing a church that pleases God. Absolutely, Joey. He'd be seen as divisive, overly critical, arrogant, intolerant, dogmatic. And he'd mince no words about what he thought about his critics. Not sure he'd be endorsing many books. "And he'd mince no words about what he thought about his critics." Not laughing at the historical situation but I can't help it: does anyone else feel like chuckling thinking about the Reformers as PyroManiacs and how that term could have had a completely different meaning to the Anabaptists? I thought, given your clear question of the character of Luther, I was at least 50% on-topic in my question list. I really do not take any pleasure in derailing your posts. I thought this time I was really contributing. Oh, Frank, now -- you know lying's a sin. I'll eat salad at lunch today as my act of contrition. Let's not go nuts about this. You're eating with Phil Johnson! Have a scorpion, or something. And try not to wince at my severe envy vibes for both of you. Dude, I'm hurt, but I can't cry with my mouth full. That's gross. Here's Solameanie's recommendation for the day. If you don't have a copy of Roland Bainton's excellent Luther biography entitled "Here I Stand," get one. More fair and balanced than Fox News, and inspiring. Luther was the man that was there for 'such a time as this' when indulgences were the apostacy of the times and the printing press the blog roll. I agree that Luther went through a process trying to understand the scriptures in terms of justification by faith. But...history does state that he did have a "revelation" of understanding the scriptures in question...so the light did break through at one point in his "tower experience". An article I read states..."The tower experience, according to Luther was a conversion experience. When he had discovered that God gives His righteousness as a gift in Christ, he felt that he "was altogether born again and had entered paradise itself through open gates . . . that place in Paul was for me truly the gate to paradise." Now his conscience was at rest, now he was certain of his salvation. Before there had been only unrest and uncertainty. Incidentally, many historians believe that the tower in question was not his study, but rather his toilet. Makes sense to me. God sometimes reveals Himself in the humblest of circumstances, and we all know that Luther spent a lot of time in that particular part of his abode (I'm trying not to offend the exceedingly sensitive readers of this blog :) ). By the way...go to Challies blog for a list of posts regarding Reformation Day. I'd say Challies should come to this blog for a list of links and info about Reformation Day. Although not as good as Calvin... but he came afterwards. I'm curious as to the source of your quotation? If it's from the Preface to Luther's Works, it's incomplete and somewhat inaccurate. Either way, the THEN in his statement -- "THEN I grasped..." indicates that his comprehension was sudden, as his other statements on this matter also testify. The time prior to the actual event of Luther's new birth -- his struggle -- is of course the gestation period that the Holy Spirit works upon his elect before he suddenly regenerates them in a moment of time, as is the testimony both of the Scripture as well as the likes of Spurgeon, Bunyan, Whitefield, Owen, Manton, Edwards... well, the list goes on and on and on and on. "I meditated night and day on those words until at last, BY THE MERCY OF GOD, I paid attention to their context: The justice of God is revealed in it, as it is written: The just person lives by faith. I began to understand that in this verse the justice of God is that by which the just person lives by a gift of God, that is by faith. I began to understand that this verse means that the justice of God is revealed through the Gospel, but it is a passive justice, i.e. that by which the merciful God justifies us by faith, as it is written: "The just person lives by faith." ALL AT ONCE I FELT THAT I HAD BEEN BORN AGAIN AND ENTERED INTO PARADISE ITSELF THROUGH OPEN GATES. IMMEDIATELY I SAW THE WHOLE OF SCRIPTURE IN A DIFFERENT LIGHT. 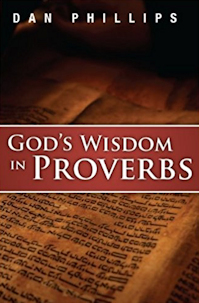 I ran through the Scriptures from memory and found that other terms had analogous meanings, e.g., the work of God, that is, what God works in us; the power of God, by which he makes us powerful; the wisdom of God, by which he makes us wise; the strength of God, the salvation of God, the glory of God." An Excerpt From: Preface to the Complete Edition of Luther's Latin Works (1545) by Dr. Martin Luther, 1483-1546 Translated by Bro. Andrew Thornton, OSB from the "Vorrede zu Band I der Opera Latina der Wittenberger Ausgabe. 1545" in vol. 4 of _Luthers Werke in Auswahl_, ed. Otto Clemen, 6th ed., (Berlin: de Gruyter. 1967). pp. 421-428. Perhaps the quotation you gave is from another place in Luther. I think Frank's point about there being other "reformers" other than Luther is well taken. After all, wasn't Wycliff known as the "morning star" of the Reformation? Perhaps Luther being the "symbol" of the Reformation has to do with his character and his personality. Maybe it's because his work began around the same time as the printing press became widely used, and his ideas were disseminated more widely. Maybe it's because he wrote that fantastic hymn. Maybe it's the drama surrounding his conversion. Kind of reminds one of the apostle Paul. I agree that there were other men and women who were reformers, but when I taught my children church history, and we covered the Reformation, we did spend more time on Luther. True, Kim, there were. But I don't know anything that any of them did on October 31, 1517... well, except Luther. Understanding can be an arduous task for anyone, but understanding and the new birth are two entirely different things, as Spurgeon, Bunyan, Whitefield, et. al. pointedly and explicitly stated, and as every truly regenerate Christian knows. I tried to look up the source, but I can't get one of the links to work. Nor can I determine from where the quotation came. "Da fing ich an, die Gerechtigkeit Gottes als die Gerechtigkeit zu verstehen, durch die der Gerechte als durch Gottes Geschenk lebt, nämlich aus dem Glauben, und begriff, daß dies der Sinn sei: Durch das Evangelium wird die Gerechtigkeit Gottes offenbar, und zwar die passive, durch die uns der barmherzige Gott durch den Glauben rechtfertigt, wie geschrieben steht: 'Der Gerechte lebt aus Glauben'. DA FÜHLTE ICH; DAS ICH GERADEZU NEUGEBOREN UND DURCH DIE GEÖFFNETEN PFORTEN IN DAS PARADIES SELBST EINGETRETEN WAR: DA ERSCHIEN MIR DURCHGEHEND EIN ANDERES GESICHT DER GANZEN SCHFIT. Ich durchlief danach die Schrift, soweit ich sie im Gedächtnis hatte, und fand auch in anderen Ausdrücken einen ähnlichen Sinn: Werk Gottes, deshalb. durch das Gott in uns wirkt; Kraft Gottes, durch die er uns kräftig macht (virtus Dei, qua nos potentes facit); Weisheit Gottes, durch die er uns weise macht; Stärke Gottes; Rettung Gottes (salus Dei); Herrlichkeit Gottes." "Then I felt that I had IMMEDIATELY BEEN BORN AGAIN and that I MYSELF had stepped through the open gates into Paradise. Then APPEARED TO ME TRANSFORMED IN A COMPLETELY DIFFERENT FACE THE ENTIRE SCRIPTURE." So, as can be seen, the first translation I presented above is an idiomatically accurate account of what Luther wrote, albeit, as can also be seen, the German is even more emphatic. Great post mate - I'm loving all the Reformation Day stuff on the blogosphere this year. I listened to the Piper talk on Luther yesterday as well. Fantastic stuff. "Lamblion," did you have a point that might be of relevance or interest to others? For one who is so quick to accuse others of not reading what is written, it is ironic that I have asked two times now for you to clarify your source. I assume this further dodge by you means you are either unwilling or incapable of providing the original source material for your quotation. As for my points, I think most of the readers here can see clearly what is going on. 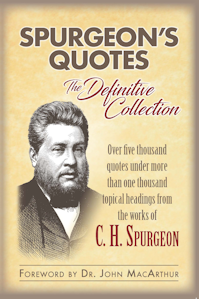 Such quotations by Spurgeon, as well as by Bunyan, Owen, Whitefield, Manton, Baxter, Edwards, ad infinitum, could be multiplied almost endlessly. Lamblion, I really don't know what your point is. Could spell it out plainly rather than allude to it? "that you should see pure grace and overflowing love"
This was a wonderful post to read. I truly love to read Martin Luther's commentaries on Galatians, and Romans. He rightly divdes the word. A great teacher the Lord has given to the Church, and a bold disciple for the truth. And yet as Frank said, he was just a man, a sinner saved by grace. And so once again, "Lamblion" starts a cryptic argument with himself, does his best to bruise a few, ignores answers to his questions, and then declares himself a winner. Started out old a few threads ago, hasn't improved with age. Just to clear something up, Luther was not a Nazi. Hatred of Jews was not an integral part of his thinking. Only a few years before penning the notorious tract, "Against the Jews and their lies", Luther pleaded for humane treatment of Jews that they might be brought to faith in Christ. The problem was that Luther honestly anticipated mass conversions of Jews once the false doctrines of Rome had been exposed. When that did not happen, his anger and disillusionment got the better of him, a pattern of behavior that unfortunately would taint many of his public statements during the latter part of his life. He himself would confess to this personal failing on many occasions. Of course, what many historians consider his biggest mistake occurred earlier, when he called on the nobility essentially to use any means necessary to quell the Peasants' Rebellion. Even during his lifetime he was considered at least partially responsible for the bloody slaughter that followed, and a lot of erstwhile supporters turned against him for that reason. Luther was quite the reluctant revolutionary and a conservative at heart. As with his supposed "antisemitism", there is a notion that there is some connection between Luther's passion for order and Nazism in the 20th Century. Adolph Hitler is supposed to have said once, after seeing thousands of Germans wave to him from the roadside during a motorcade through the countryside, that only one other German could have understood what he felt at that moment: Martin Luther. But consider that Hitler was brought up in a Roman Catholic family in Austria and that as a boy he was supposed to have had an admiration for the local priest. Given the facts of Hitler's life, it would be fair to say that while he never had much use for Christianity per se, he did covet the kind of authority and affection enjoyed by religious leaders. As well, the connection between Luther and Nazism is difficult to prove given that the cradle of Nazism in Germany was predominantly Roman Catholic Bavaria while the part of Europe most resistant to Nazi occupation (other than England, of course) was solidly Lutheran Scandinavia. As to coarse language, the "pamphlet wars" of the Reformation (made possible by Gutenberg´s invention of the movable-type printing press) were analogous to today's blogosphere in which which the exchange of comments often descends into name-calling and ridicule of the most offensive sort. In this arena, Luther gave as good as he got and better. But I do not think his classic sermons and commentaries contain language that anyone, even in this politically correct age, would find objectionable. Bear in mind, too, that one of Luther's opponents, Thomas Muentzer, once wrote that he would have loved to smell Luther's frying carcass. (The Anabaptists were not all pacifists, by the way.) I am not aware that the Roman hierarchy ever put things that baldly, but they certainly would have been happy to accommodate Muentzer in that regard. Luther lived out his life with a price on his head. He was thrust by historical circumstances into circumstances most of us would rather avoid. His lapses in judgment were those of a man of his time, but he was right about what matter most and that is why he is remembered more than 500 years after his birth. I have never in my life found it so hard to get a simple answer to my request for a source. Is it so hard for you to just answer the question? Please give me the ORIGINAL SOURCE citation for your quotation of Luther. I'd like to compare it and make sure it's accurate. Is that too much to ask? Hmm. Thus far my request for this information has elicited from you only bombastic dismissals, which appears to be your modus operandi when you find yourself incapable of addressing the issue at hand. What is the original source citation for your quotation of Luther? And, one last time, everything I said is sourced in the article itself, as is my unswerving practice. I will not further do your homework for you. My, my. A man who professes to be a Christian -- a pastor no less -- and he not only gets testy about answering a simple question, but even refuses to extend the courtesy. I doubt it would take ten seconds to merely type in the answer to a question I've asked at least three times now. I fear it is as I suspected -- the quotation, if taken from the preface, is incomplete and inaccurate. So is the conclusion that was drawn about Luther's experience inaccurate. In fact, everything DID change for Luther in an INSTANT, contrary to the false conclustion drawn, a conclusion which was based on incomplete and inaccurate testimony, a conclusion which Luther himself EXPLICITLY refuted. But then, that's the case will ALL who are genuinely born again. A man may read the Bible ten thousand times and never have the illumination of the Holy Spirit, but then, SUDDENLY, the Holy Spirit comes upon him, he -- like Luther -- was regenerated in a MOMENT of time, in which he undergoes a SUPERNATURAL EXPERIENCE equal to the very resurrection power of Jesus Christ himself, and he is suddenly made new creature, and -- like Luther testified -- the Scriptures for him become ENTIRELY NEW. I have addressed this topic for the sole reason that there are undoubtedly a few readers of this blog who are very concerned about their eternal state, and this may be the last time they ever come under genuine conviction, and thus, it is VITAL that they be aware of the difference between what is true and what is false, for each of us will give account to Jesus Christ for what we have testified to, and those who testify falsely will find themselves shocked and surprised at their eternal state on the day of judgment. Accordingly, as Spurgeon warned, as Bunyan warned, as Owen warned, as Whitefield warned -- the list goes on -- BEWARE of the man who denies the DIRECT, SUPERNATURAL, DISTINGUISHING communication of the Holy Spirit with the believer's sprit, for this is the very NATURE of the new birth, and unless a man can honestly and legitimately testify to this EXPERIENCE, he will not set foot in the kingdom of heaven, no matter how long he may have been preaching the gospel or professing faith in Jesus Christ. Why can't you just answer the guy? You've spent more time posting your little quips than it would have taken to answer his question. Why banter back and forth? I don't get the argument. It is quite clear that Luther underwent a great deal of suffering and agonizing over the true understanding of the scriptures. He did have a prolonged time of struggling to discover truth. He also had a real conversion. He had a revelation from God that showed him the truth. He believed his salvation was from that point. He was confident in his salvation from THAT point. Why is this hard to understand when reading Luther's own words? In my opinion, both of you are right to an extent. Lamb: Birth. Light breaking through. AN: I did; see above. Candy: what is it you think I'm not right about? What you said is I said. I quoted everything Luther said, sourced it, and agree with it all. Where do you feel I went wrong? dan. I don't feel you are wrong at all. I was wondering why Lamb was arguing the point. I think Luther very clearly articulated his struggle and his consequent revelation by God which resulted in his conversion. "One could gain from this the impression that Luther read through Romans, saw this verse, the floodlight instantly burst on, and everything changed in an instant...."
Yes, one could get that impression because according to a complete and accurate translation of Luther's own words that's exactly what happened, as I have documented. Though Luther may have read that passage a hundred times before makes no difference. The same was true of Spurgeon, Bunyan, Whitefield, et. al. In fact, in complete contrast to the implication in the article, the floodlight (illumiination of the Holy Spirit) DID suddenly burst on, according to Luther's own testimony. In fact, in complete contrast to the implication in the article, everything DID change in an instant, according to Luther's own testimony. 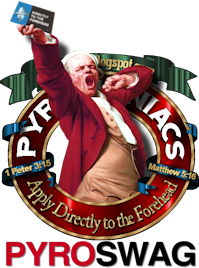 As Spurgeon warned, as Bunyan warned, as Owen warned, as Whitefield warned -- the list goes on -- BEWARE of the man who denies the DIRECT, SUPERNATURAL, DISTINGUISHING communication of the Holy Spirit with the believer's sprit, for this is the very NATURE of the new birth, and unless a man can honestly and legitimately testify to this EXPERIENCE, he will not set foot in the kingdom of heaven, no matter how long he may have been preaching the gospel or professing faith in Jesus Christ. OK, Candy, thanks. Luther said his understanding was the result of an arduous process. You agree with him. I agree with him. That should settle it. "Lamblion," your M.O. is plain in comment thread after comment thread. You pose a terse, often enigmatic question or challenge that carries solipsistic meaning; try to insult and/or bully anyone responding (--or not! ); imply that everyone but yourself is an idiot; do an angry little victory-dance, and move on to try to invent another controversy. Knock it off. If you feel this site has nothing to offer to you, you're free to move along. You've given your URL enough that I think anyone wanting more of your style of whatever-you-call-it knows where to find you. I would suggest reading a man's own words to determine whether or not he denies the direct, supernatural, distinguishing communication of the Holy Spirit with the believer's spirit, as there have been ample material statements regarding this matter made on this site. And most readers are discerning enough to sift through the semantics and recognize where one stands, regardless of his posturing. Are you suggesting that Jesus Christ can personally introduce himself to a man, and yet that man could not be conscious of it? Hmm. Suffice it to say that not only I, but Spurgeon, Bunyan, Whitefield, Owen, et. al., as well as the Scritpures maintain this exact proposition infallibly. Actually, no, Luther did not say that his understanding was the result of an arduous process. Luther stated that he struggled for months to understand the justice of God and the meaning thereof, but it was only after his IMMEDIATE regeneration that he SUDDENLY (German "geradezu") comprehended what the Scripture meant. Luther stated emphatically that his understanding was the result of an IMMEDIATEL new birth experience. And the only who is clearly angry here is the one who is asked to provide a simple source but who continues to refuse to do so. Luther believed, as Lutherans do today, that the Holy Spirit bestowed on him the gift of faith through the sacrament of Holy Baptism. He also believed, as Lutherans do today, that the entire life of a Christian on earth is a constant struggle between the old sinful nature and the new creation in Christ. The so-called "tower experience" was a decisive moment in his life not because he believed he was not saved until that moment, but because he realized for the first time that he was already saved and that there was nothing he needed or could do to earn God's mercy. That is why he writes that he FELT that he had been born again and entered into paradise. For Lutherans, there is a difference between subjective feelings and the objective promises and actions of God. If you think I am pulling this out of my hat, I would suggest you start by reading the Book of Concord, then Luther's sermons and commentaries and the definitive biography of Luther, "Here I Stand" by Roland Bainton. When another good book is added to my "to be read" stack it is always a good day. Yesterday was just such a day. With all the roaring and baa-ing going on about the quote Mr. Phillips referenced from Mr. Bainton's biography of Luther, I had no choice but to make a trip to Amazon.com. The book was in stock (reprint edition) and if not already, it should soon be on its way to me. Eventually I'll make it to page 65 and if I'm so inclined I can then find the specific part of Luther's writings that is being referenced. Thanks Mr. Phillips for the post, the citation, and the introduction to another good book. Bainton is indeed a classic. My understanding is that it was a bestseller when it came it. It's very readable, interesting, engaging, full of specifics, specific quotations, and illustrations. I hope you enjoy it; I think you will. Of course, if Luther FELT that he had been born again, and stated that the Scriptures at the same moment became a new book to him, we must take him at his word and not consign his explicit statements to the correction of later interpreters. In other words, whatever Lutherans believe or don't believe, along with the Book of Concord, are irrelevant to the veracity of Luther's own testimony, and I am well read in Luther. Nor does the Lutheran belief that "there is a difference between subjective feelings and the objective promises and actions of God" have any bearing on Luther's explicit testimony whatsoever. Luther's explicit testimony that ALL AT ONCE and SUDDENLY and IMMEDIATELY he felt he had been transported and that the Scriptures appeared entirely different to him, et cetera, are the best evidence of what transpired in that incident, not the speculations of later historians, no matter how credentialed they might be. Nor does the current dogma of Lutherans alter the fact that Luther explicitly testified that his comprehension of the justice of God was the result of SUDDEN and IMMEDIATE effect of a supernatural experience. As I also mentioned, I have tried several times now to access one of the links in that article, and I cannot get it to load. If Bainton is the author of that quotation, and if Bainton has been cited accurately, then what's the problem with simply providing that reference? You'd think I was asking for the key to Fort Knox. In any case, I also asked for an ORIGINAL, or PRIMARY, source citation. If the quotation is not a primary or original source citation, then it is subject to correction, even if it's been cited accurately. And again, why not just cite the work? I understand that not all people know their way around the computer, or perhaps the world of literature, or perhaps quirky internet connections or browsers, or what-have-you, and therefore if any person has a problem verifying one of my quotations, why, it would be my pleasure to extend to them the neccessary means. I really have to wonder why the resistance has been so strong. You claim to be well-read in Luther, but seem not to be aware that the Book of Concord contains Luther's Small and Large Catechisms, which state in Luther's own words the doctrine of baptismal regeneration. These texts are available on-line. You may find them and study them in their entirety and at your leisure. Your statement that Luther's "explicit testimony" was reinterpreted by later commentators is quite silly. His testimony does not say what you want it to say. It's just that simple. Yes, I know what the Book of Concord contains. The reason I said it is irrelevant, like Lutheran dogma, is because it is exactly that - dogma. And even though it contains formal teaching from Luther, there is nothing I've read by Luther that contradicts his own testimony about his tower experience. Now, if you can provide explicit testimony from Luther wherein he contradicts his own tower testimony, please do. Keep in mind that formal doctrine, especially one's interpretation of it, is not a valid counterpoise to Luther's explicit testimony. Rather, you must demonstrate that Luther explicitly contradicted his own testimony, and your proof must be as explicit as his original testimony itself. I don't think Spurgeon's quotation could possibly be any plainer. In that quotation, Spurgeon speaks for me. He also speaks for the Puritans, Great Awakeners, et cetera. The new birth is not a process; it is an event; a supernatural, miraculous event. An event in which Jesus Christ personally introduces himself to the soul he regenerates in a moment of time. That is not metaphorical, nor is it hyperbole, nor is it allegorical. And of course, being filled with the Holy Spirit happens immediatly upon the MOMENT of regenration. This is the testimony of the Scriptures, as well as the Puritans, Great Awakeners, and so forth. Where does Luther's formal teaching contradict his tower experience? As I said, I have read nothing from Luther that contradicts his tower experience. There are some, however, who would try to eisegetically make it so, but after all, it is just eisegesis. As for your other comment, as I said, the Scripture and the quotations I gave you speak for themselves. It's too bad they upset you so. The burden of proof is on you to provide any evidence that Luther interpreted his "tower experience" to be something other than a moment of wonderful and profound insight into the teaching of Holy Scripture. Luther believed in baptismal regeneration, Charles Spurgeon did not, so quotes from Spurgeon prove nothing about what Luther thought of his own experience. Incidentally, what Spurgeon said about baptism and spiritual regeneration is also dogma, another word for doctrine, or a formal written formulation of belief. Now you may think Spurgeon's dogma is more consistent with the Scriptures than Lutheran dogma, but that is not the point at issue. The relevant point is what Luther himself believed and taught. Luther was a prolific writer and speaker, who do not hesitate to offer an opinion on almost any subject. If you have been following this thread and others, you will have noted that there were occasions when latter-day Lutherans wish he had kept his mouth shut. Yet there has been no attempt by Lutherans to cover up these incidents or maintain that Luther did not really mean what he clearly said. What, are you writing a novel entitled "The Albrech Durer Code"? The burden of proof is on me? That's comical. We have Luther's own words. You clearly don't understand the nature of evidence. "ALL AT ONCE I FELT THAT I HAD BEEN BORN AGAIN AND ENTERED INTO PARADISE ITSELF THROUGH OPEN GATES. IMMEDIATELY I SAW THE WHOLE OF SCRIPTURE IN A DIFFERENT LIGHT." Furthermore, the point in question has to do with Luther's comprehension of the justice of God, and as he clearly states, his comprehension occurred all at once and immediately. It is always entertaining to see someone assesrt that the author of the words didn't really mean what he said. Chuckle. And it is pure eisegesis to extract baptismal regeneration from Luther's Larger Catechism. In fact, a careful reading of that work reveals the exact opposite. As do Luther's statements on infant baptism, which are also eisegetically propagated by some. In case you don't know, eisegesis means reading into the text what is not there, and this is what a certain group does with Luther to the extreme. However, I have no intention of entering that discussion here, especially with someone who clearly hasn't read Luther very carefully. I'll leave it to the readers to go to Luther's Larger Catechism in the Book of Concord and CAREFULLY read what he wrote on the issue of baptism, especially paying attention as to the WHEN'S and HOW'S and such like. You can assert all day, but until you can provide documentation that Luther repudiated his tower experience in Luther's own words, your shell is empty, you have no case. "And it is pure eisegesis to extract baptismal regeneration from Luther's Larger Catechism. In fact, a careful reading of that work reveals the exact opposite. AS DO LUTHER'S STATEMENTS ON INFANT BAPTISM, WHICH ARE ALSO EISEGETICALLY PROPAGATED BY SOME." -- could be misinterpreted as meaning that Luther didsn't sanction infant baptism. My point is that his explanation of what actually takes place there has no relation to the eisegesis that a certain group attaches to it. "In case you don't know, eisegesis means reading into the text what is not there." Thanks for the definition. Growing up on the farm, we didn't use big words like that. We didn't have much time for expanding our vocabulary, as the animals - especially the sheep - kept us quite busy. The pigs had their moments, and it sure hurt whenever a steer stepped on my toes, but the sheep, well they were always wandering off, getting into things that they couldn't get out of. We did find time, however, for church each Sunday, and even though they also didn't use a lot of big words, I was blessed to sit under good teachers. I remember once discussing John 3:16, how the teacher demonstrated that one could not simply look at the few words that verse contained out of their larger context. For example, to understand what "world" meant and to understand why some people choose to believe and others do not we had to look at the larger context of: 1) the rest of chapter 3, 2) the rest of John's gospel, 3) the other New Testament books written by John, 4) the rest of the New Testament, and 5) the Old Testament. "We have Luther's own words. You clearly don't understand the nature of evidence. Furthermore, the point in question has to do with Luther's comprehension of the justice of God, and as he clearly states, his comprehension occurred all at once and immediately." Those few capitalized words need to be understood in the larger context of Luther's writings. Based on this larger context, did Luther regard this event as the moment of his regeneration? Did Luther use subjective feelings interchangably with objectively drawn conclusions? Did Luther conclude that significant breakthroughs in understanding were in no way predicated on previous periods of study and contemplation? Did Luther conclude that God would never use periods of study and contemplation in concert with significant breakthroughs to mold and shape His children? I offered the definition of eisegesis in sincerity. Many people ask the meaning of that word when it is used and thus I wanted to make sure that not only you, but others who may be reading theses posts, would understand what I was saying. There was no offence intened. As to context and Luther, that only further substantiates his words, for there is a clear demarcation of Luther before and after conversion. Furthermore, Luther's words REEK of the new birth. I could say the same words as Luther regarding my own new birth experience. I have yet to meet a truly regenerate Christian who couldn't say the exact same thing. In short, Luther's testimony smells like the new birth, walks like the new birth, and talks like the new birth. I have yet to meet a truly regenerate Christian who couldn't use the very same words as Luther, for what Luther there describes is the very NATURE of the new birth experience. Nor have you provided a single scintilla of evidence that Luther didn't mean what he said, or that he didn't say what he meant. However, there is no point in continuing this thread. As I said earlier, my primary reason for entering this discussion in the first place has to do with making sure that some readers who might be genuinely concerned about their eternal state may see the substance of what constitutes a genuine new birth experience in the eyes of Scripture, Spurgeon, the Puritans, Great Awakeners, and so forth. Thus you see that the objection of the sectarians is vain. For (as we have said) even though infants did not believe, which however, is not the case, yet their baptism as now shown would be valid, and no one should rebaptize them; just as nothing is detracted from the Sacrament though some one approach it with evil purpose, and he could not be allowed on account of his abuse to take it a second time the selfsame hour, as though he had not received the true Sacrament at first; for that would mean to blaspheme and profane the Sacrament in the worst manner. How dare we think that God's Word and ordinance should be wrong and invalid because we make a wrong use of it? Therefore let it be decided that Baptism always remains true, retains its full essence, even though a single person should be baptized, and he, in addition, should not believe truly. For God's ordinance and Word cannot be made variable or be altered by men. But these people, the fanatics, are so blinded that they do not see the Word and command of God, and regard Baptism and the magistrates only as they regard water in the brook or in pots, or as any other man; and because they do not see faith nor obedience, they conclude that they are to be regarded as invalid. Here lurks a concealed seditious devil, who would like to tear the crown from the head of authority and then trample it under foot, and, in addition, pervert and bring to naught all the works and ordinances of God. Therefore we must be watchful and well armed, and not allow ourselves to be directed nor turned away from the Word, in order that we may not regard Baptism as a mere empty sign, as the fanatics dream. This is the true use of Baptism among Christians, as signified by baptizing with water. Where this, therefore, is not practised but the old man is left unbridled, so as to continually become stronger, that is not using Baptism, but striving against Baptism. For those who are without Christ cannot but daily become worse, according to the proverb which expresses the truth, "Worse and worse -- the longer, the worse." If a year ago one was proud and avaricious, then he is much prouder and more avaricious this year, so that the vice grows and increases with him from his youth up. A young child has no special vice; but when it grows up, it becomes unchaste and impure, and when it reaches maturity real vices begin to prevail the longer, the more. Thus it appears what a great, excellent thing Baptism is, which delivers us from the jaws of the devil and makes us God's own, suppresses and takes away sin, and then daily strengthens the new man, and is and remains ever efficacious until we pass from this estate of misery to eternal glory. "That is, FAITH ALONE MAKES THE PERSON WORTHY TO RECEIVE PROFITABLY THE SAVING, DIVINE WATER. For, since these blessings are here presented and promised in the words in and with the water, THEY CANNOT BE RECEIVED IN ANY OTHER WAY THAN BY BELIEVING THEM WITH THE HEART. WITHOUT FAITH IT PROFITS NOTHING, NOTWITHSTANDING IT IS IN ITSELF A DIVINE SUPERABUNDANT TREAUSRE." In fact, the section on infant baptism cannot even REMOTELY be correctly understood until one wades through the preceding section, where terms, applications, and methods are by Luther defined. But since Luther wrote a lengthy defense of infant baptism, he did not believe that the gift of faith, and thus spiritual regeneration, depended on the knowledge of the baptized, which contradicts your quote from Spurgeon among other things. If Luther believed his tower experience was one of spiritual regeneration in the way that you claim, why did he not have himself baptized as an adult? Why did he repeatedly say what made him a Christian was his baptism as an infant? If the tower experience was what you say it was, why did Luther vehemently oppose anyone who claimed direct communication with the Holy Spirit apart from the written Word? Why did he disavow receiving any special revelation from the Holy Spirit? Obviously you want to claim Luther as a hero of the faith, but his experience must be made to fit your model of what a true Christian is, regardless of the plain meaning of his own words. ...and Luther was wrong in saying his path to understanding Romans 1:17 was arduous and painful. But David, at what point are we no longer explicating the (to others) obvious and well-known, and are instead "feeding the trolls"? I guess it has become obvious that lamblion is a few cards short of a full deck. Sorry for being tiresome. I hope you all lifted a beer in honor of reformation day! David, you're not the one being tiresome. So here's to Martin Luther (I did drink a beer in his honor, thanks), neither martyr nor superhero, but a man wonderfully used by God to reaffirm the primacy of Holy Scripture, justification through faith and salvation by grace. And to all those who preceded and followed him in this endeavor, too. "What does that say about the learned geniuses of Rome (and elsewhere), who still deny what Scripture affirms?" One of the most astonishing things I ever read on this was in Luther's "Dolmetscherbrief" (I can't get it online): speaking to the RC VIP's, he says (and I'm paraphrasing here, bec. it's been almost 30 years since I read it), "Behind closed doors, you chaps admit that what I say [about justification by grace thru faith] is true, but then you proceed to prohibit that this truth be proclaimed to the masses, bec. you insist that it will lead them to conclude that they can live any old way." Even RC Sproul has written an article where he says that the RC's do believe initial justification is by grace thru faith (in the same sense we Protestants understand that), BUT!!!! The rub is how they view the continuation of justification. David -- it just occurred to me that we should continue toasting the Reformer (temperately) until the threat reaches 95 comments. What Reformation Day really is is this: The Reformed doctrine is a reformation of Satan's character. The Reformed doctrine asserts that Satan is under the direct micromanagerial control of Christ, that "the Devil is God's Devil and only does what God wants." Thus, by asserting that the devil does as God makes him, and that alone, the devil is Reformed into being an obedient puppet of God. In the process, however, God is Reformed into being as bad as the Devil. Thus, the Reformed (i.e. Calvinists) chose to place their holiday on October 31st to coincide with the Devil's holiday, which is Halloween. But Paul says that Christ has no concord with Belial (i.e. the Devil) in 2nd Corinthians 6:15. The Reformed position is a denial of this very important distinction between Christ and Belial and was invented by Belial specifically to convince men that he is nothing more than Christ's sock-puppet and thus Belial causes men to blaspheme Christ and go to hell. Ah, yes; always good to see that the government schools continue to turn out such a consistent product.